This dusty region of Mars has many slope streaks, which are thought to form when dust cascades down a slope. 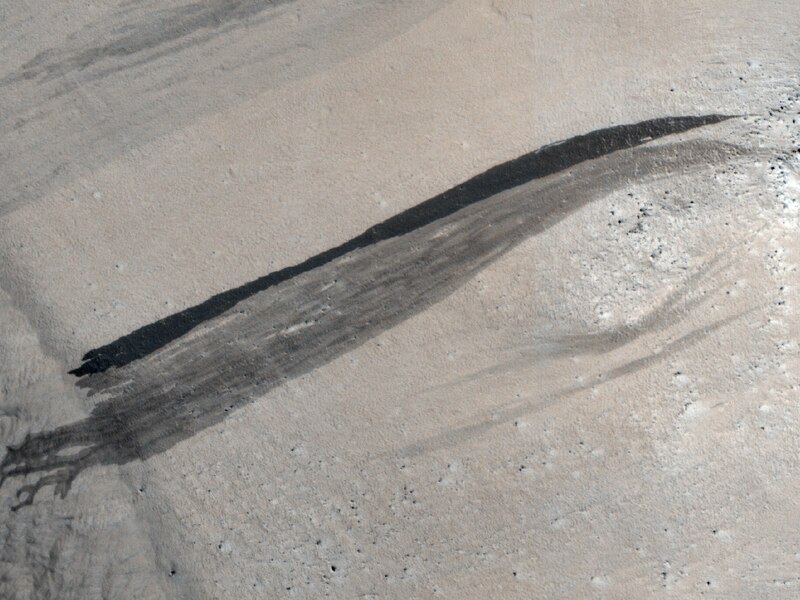 In some cases it is possible to pinpoint what destabilized the slope and triggered the avalanche of dust, such as this slope streak which was triggered by a small impact event, or this slope streak, which appears to have been triggered by a dust devil. Slope streaks generally begin at a point and widen downslope, but they are affected by the terrain and can be diverted, as shown here, where two slope streaks were diverted around a crater. This observation shows a very unusual slope streak. Almost from its point of origination, the slope streak splits up into many fingers that appear to wind their way through the terrain, diverting around slight topographic highs. 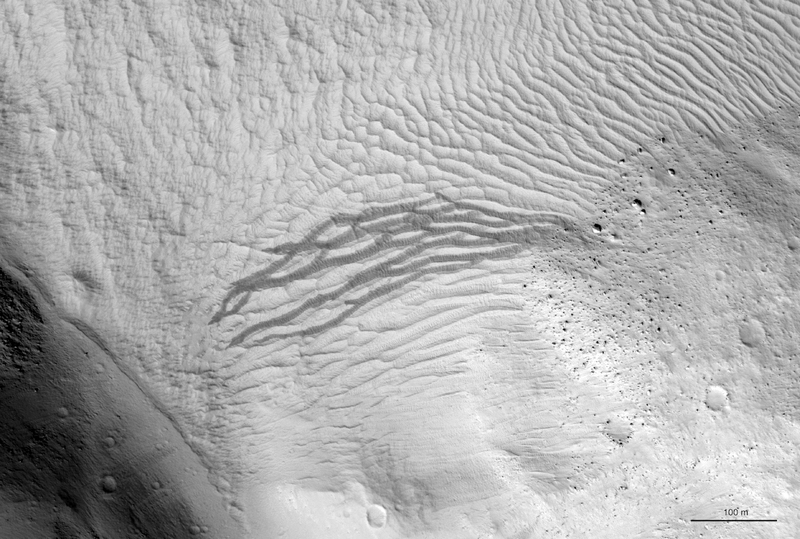 This unusual slope streak was first imaged by the Mars Orbiter Camera in the year 2000 (see the image here). Note: The location of this slope streak is in eastern Lycus Sulci.